I’m very pleased to tell you all that I have received the Marvel #144 and #152 comic book today. I was able to buy these for a reasonable price from smalljoes.com. 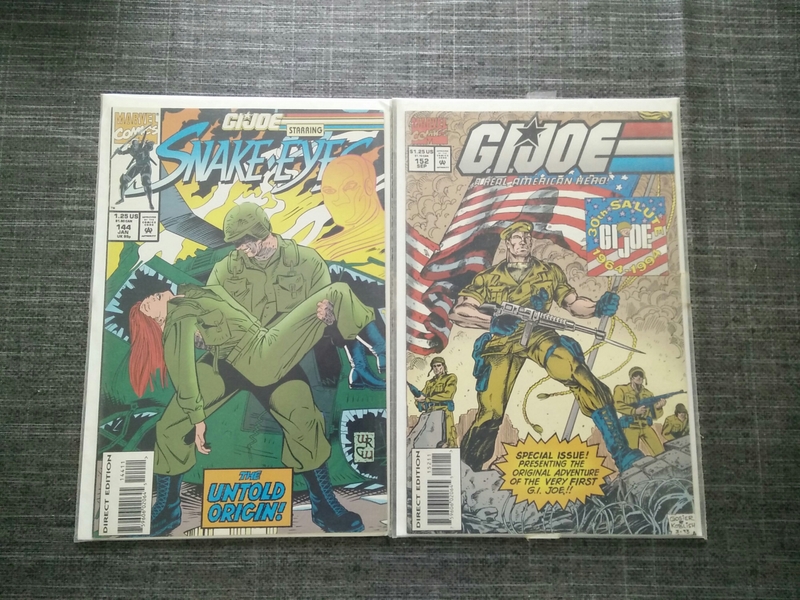 With these last 2 comics, I now have the entire Marvel A Real American Hero run complete. Ever since FCB back in 2010, I’ve started seriously collecting the Joe comics. First the IDW run that started (including all the new runs they introduced), but I soon discovered the original Marvel run. I had a few TPB’s of Special Missions that were translated in Dutch from the nineties, but I never would have believed it was possible to collect the entire Marvel run here in Belgium. Six years down the road, my comics collection has expanded well beyond the ARAH run, with also the Image and DDP comics, as well as most of the convention exclusives. I think that on the next leg of my comics journey, I’ll try and find all the Dutch comics I can find. I already have 4 TPB’s as mentioned above, but I’m still missing one. So that will be the first one I need to find. Next to the comics, I’ve also gotten my hands on several of the Find your fate books. It will be nice to have the complete set of those as well.